Photography in San Francisco was by far the best interim I have attended during my four years at Oceana. Everything about it was awesome and magnificent! Throughout the week, we took pictures of places we traveled in SF. We were required to have a camera, whether it was a digital or a professional camera, and take several pictures of each of the places we went to in SF. We were also required to complete an assignment when we came back from spring break, which was to create a portfolio of all of the pictures we took throughout the week and categorize them into their respected folders. We had to complete a total of 4 categories: the daily assignments, theme (you create on your own), favorites, and postcards. In my opinion, the coolest part about this interim was that as soon as we got to our destination, we were able to disperse into our own groups from there. So we were able to hang out with our own friends and just walk around and explore the area. Of course, Mr. Weiss always made sure to tell us when and where we would meet back up. On the first day, we traveled to the Sutro Baths, and then Golden Gate Park, where we visited the Japanese Tea Garden and many other places. We walked around the Golden Gate Park area, where I had my first T-pumps and shawarma ever. They were both very yummy and so tasty! On the second day, we went to Pier 45 and basically split up from there. So my friends and I spent the day at Pier 39. On Day 3, because of the harsh rain, we ended up spending the day at the Ferry Building and Pier 39. It was scheduled for us to travel to Treasure Island, but the only means of traveling was by boat. With the rain not letting up at all, we were forced to stay put by the piers, and we were all just fine with that. On Day 4, we visited 24th and Mission Street, where we viewed all the beautiful murals drawn by various people. We also visited Chinatown and Union Square. By this time, the weather had cleared up and it was a beautiful day with the sun shining bright. 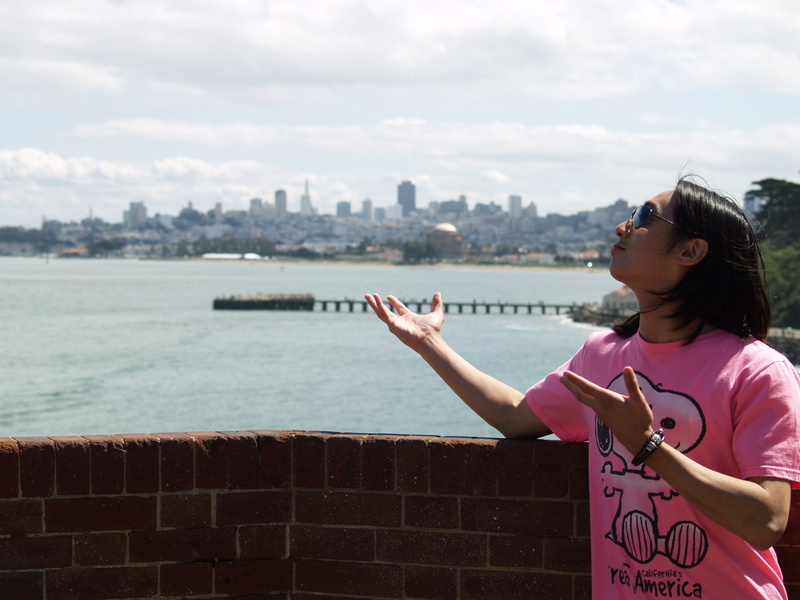 On the fifth day, we walked across the Golden Gate Bridge and visited Fort Mason. The weather was nice and fairly warm. This is the day where I went crazy with taking pictures. The atmosphere was just so majestic and beautiful that it was worth taking a million pictures. To sum up my interim week, it was probably the best and most relaxed interim I have ever experienced. I recommend this interim to anyone who loves to take pictures, as well as spend time with friends or even take pictures with friends. I am glad I took this interim and I am glad and proud to say that this was my last interim here at Oceana, and it was very well spent.